Use FME to blend, generalize or clean up your data and prepare it for use in Tableau. Create compelling visuals based on the most up-to-date and simplified data so that you can present graphics in a straightforward way to ordinary people. FME can manipulate a variety of kinds of data in a variety of ways. Analyze, simplify or create new information to add to your datasets before using Tableau to ensure you always have immaculate graphics to present. 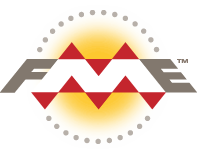 Whether you need to do spatial analysis, organize your spreadsheets or move data into and out of databases, FME is here to help you make your tasks as efficient as possible. With FME you can bring together many data formats to create single .tde files for direct use in Tableau or export your files into a database or cloud service for later use. FME’s drag-and-drop design (that’s right - no coding!) makes this process easy. With over 400 formats supported, FME will help you make sure that your data can always be used in Tableau. Every workflow created in FME’s visual interface is reusable. 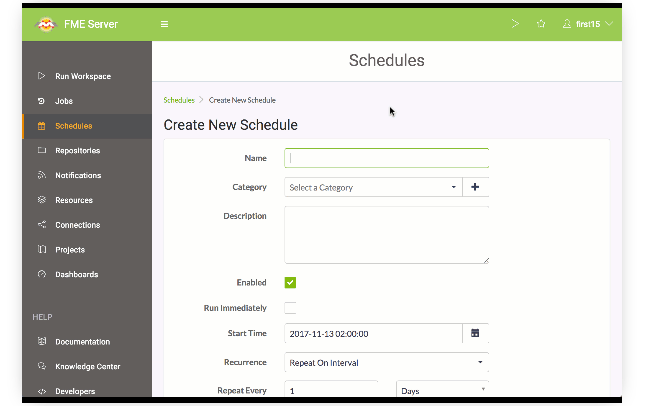 This translates into a significant amount of time being saved as there’s no cumbersome code to maintain and workflows are easily updated and shared within your team. You can also update data on a scheduled basis or provide self-serve access. For Sweco to create maps in Tableau, using FME is a crucial first step. Cleaning and preparing data and then using FME Server to bring this data into Tableau automatically helps Sweco cut out simple steps, giving them more time to work on their complex applications. Learn more about how they do it below. The FME Community is full of customers with various needs. 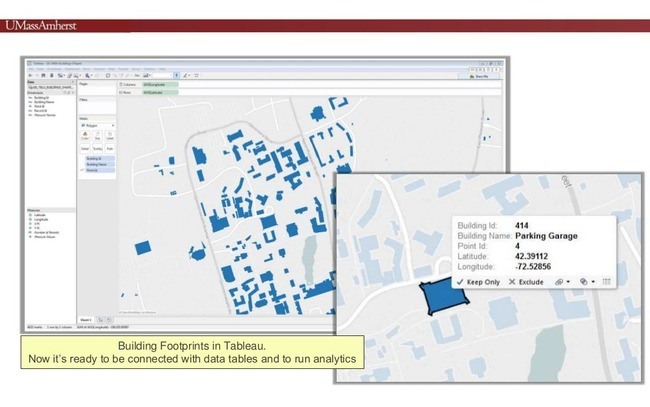 The University of Massachusetts Amherst has used FME to integrate their campus data to create Tableau files for further analysis. Meanwhile, Athena Intelligence is using FME and Tableau to help with decision making, and Dotted Eyes is using both programs for generating and display spatial data. The possibilities of what you can do with FME are endless! The Safe Software team has put together a variety of resources to help our customers with whatever their needs are. Check out our webinar on Tips and Tricks for Using FME for Business Intelligence to learn more about Tableau and other BI platforms like Qlik and Power BI. 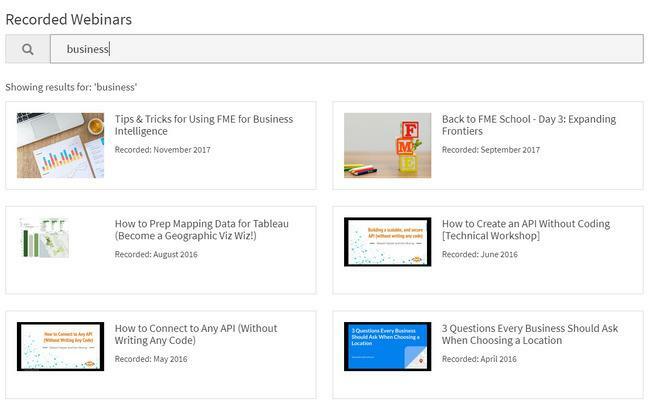 Our Knowledge Center also has articles like the Preparing Data in FME for Tableau tutorial to help you get started with your business intelligence datasets. Tableau is business intelligence software that provides users with rich insight into their data through visualization. FME lets you integrate many applications and file formats. Here are some of the ways our users convert Tableau Data Extract. The table below outlines how Tableau Data Extract is supported by our different FME products, and on which platform(s) the reader and/or writer runs.